When it comes to storing food properly, there are many conventional ways people go about doing this. Basically, they read the label of the product and follow what it says. But if there is no clear indication how to store a product that you can find on the label or if the product has no label, you just toss it in the refrigerator and hope for the best. Well, you are doing it wrong. Take a look in your refrigerator right now and we bet you have at least one item in there that doesn’t belong. The reverse holds true as well, if your ketchup is stored in your cupboard, hurry up and put it in the fridge. 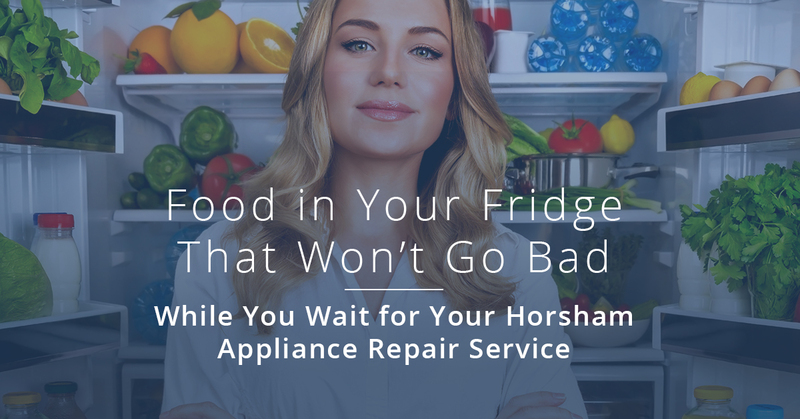 These are the things in your refrigerator that won’t go bad while you wait for your Horsham appliance repair service. If you put your tomatoes in the refrigerator, they will lose all of their flavor. In some states, that is considered a crime. The cold air in your refrigerator stops the ripening process and it is this very process that gives tomatoes their succulent flavor. It is best if your keep your tomatoes out of the fridge and store them in a basket or bowl on the counter or table instead. If you keep potatoes in your refrigerator, the starch in them will turn to sugar more quickly. When this happens, all you are left with is a gritty potatoes that taste very sweet. So forget the refrigerator and store your potatoes in a paper bag in a cool place like the basement if you have one. If you like your onions soft and moldy, then, by all means, put them in the refrigerator. If you choose to keep them in a cool and dry place, they will stay crisp and tasty. If you buy an avocado and it needs to ripen a bit, don’t put it in the refrigerator as this will dramatically slow the process. But once the avocado has reached peak ripeness, put it in the fridge to preserve it. The cold air in your refrigerator will dry your bread out rather quickly. It is best if you keep your bread out on the table or counter if you intend on using it in a few days. If not, then keep it in the freezer. If you put garlic in the refrigerator, it will sprout and get rubbery. It is best to store garlic in a cool and dry place. This might come as a surprise to many, but you don’t want to store your coffee ion the refrigerator. Coffee stored in the refrigerator will lose its flavor and take on the odors of the fridge. Coffee should be sealed in an air-tight container and stored in a cool and dry place. There is no need to keep the honey in the refrigerator. In fact, if you keep it in a sealed container on the countertop, it will stay good for your lifetime.